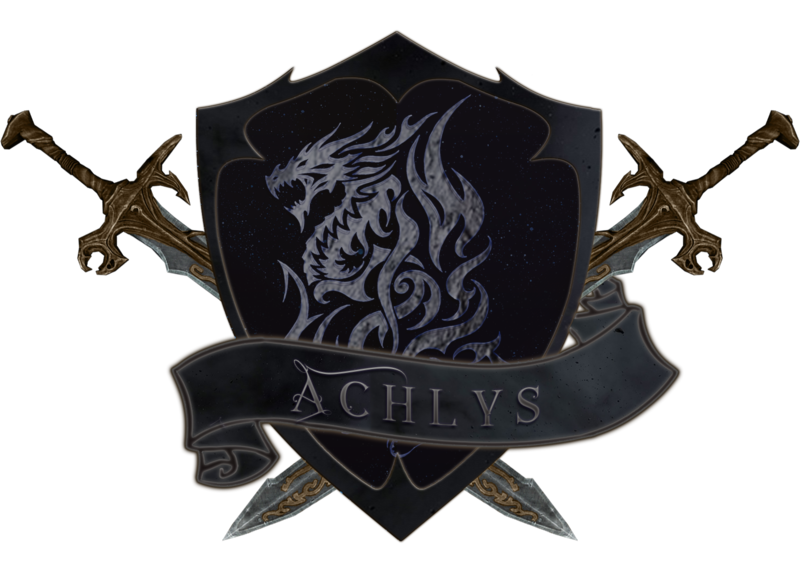 The Duchy of Achlys is ruled over by the Duke and Imperial Councilor Asteroth of House Vyre, it is located within the Empire of Demalion and will be on the EU server. We are aiming to choose a coastal landform which we intend to extend in the future. Our goal is to focus on trade and economy to support and flourish our duchy and military in its growth and development. The Counts will have the freedom of choice within their county. The Duke will not intervene in this unless there are situations that require intervention. The law of the Duchy must be followed strictly by all and it will be based upon the law of the Empire. Taxes will be paid by each level of Nobility. The rate will be fair, except in times of war. We expect cooperation by all in the time of War! The taxes taken will be used to protect the citizens from any danger. Role-playing will not be required in the Duchy, but it is not discouraged. 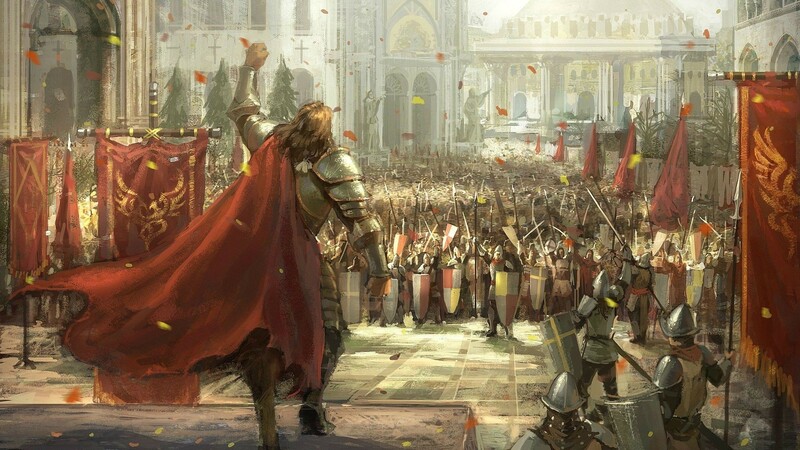 The Duchy will follow the religion chosen by the Emperor which will most likely be the religion and beliefs inhibited by the existing NPC’s within the region. However, we do expect many different religions inside the Empire. Everyone is welcome in our Duchy, we promote an environment where diversity is fostered no matter what gender you are, timezone you’re in or language you speak. The military being one of our main focuses and the Duchy’s glory, they will be led by the Warlord. Our military is expected to conduct themselves properly as not to disgrace the Warlord or the Duchy. The warlord will be leading all the units except one which will be under the Duke’s direct supervision (Cavalry units) due to its speed in critical situations. Large quantities of the economy’s money will be directed to the military to equip them with armor, weapons and other requirements as needed. The Army is expected to aid and protect our Empire and answer to the Emperor’s call in the times of war. As the Barons play a powerful role in the production of the military they will be given special support and receive rewards for their efforts to protect the Duchy. Another one of our main focuses will be trading, we warmly welcome everyone to trade with us, no matter where you come from. Although we offer our hospitality to everyone, we will not welcome those who do not follow the rules of trading or of the Duchy. But thanks to a fair tax and law system, there are no reasons to break any of the rules. We will establish a great trading hub, where you can offer your goods and talk to other merchants. Whether on land or at sea, our Duchy protects all important trade routes so you can travel safely and only have to worry about your business. The four principles of our Empire are reflected in trading: Be courageous, take the long journey to us and you can make a great deal. Trust the honest traders here and you will be able to make even better deals. Be generous and help your trading partners, if they are in trouble - fair enough, they will also help you if you get into a sticky situation. And finally: show loyalty and visit our places regularly, so you will never miss a great opportunity. As a Duchy which focuses on trading, we want to have a large and open economy. We support everyone who wants to open their business in our Duchy, no matter what business you belong to as long as you follow the laws you will profit from the benefits of our Duchy. Not only will you avoid problems due to our fair tax system, you will also get help to start your business. With our great trade hubs, you will receive a lot of opportunities to sell your goods, both as a producer, who can offer their goods to many traders, and as well as a trader who gets new customers through many travelers. Our Counts will distribute all natural resources fairly to all cities within our duchy. Those resources, trees, for instance, are not to be grubbed, and so are to be replanted. Our Lord of coin will help you with every problem you might encounter with the economy. No matter if you are a trader, a craftsman, a Mayor or a Count. Our Lord of coin will give you an orientation. Hence he will also help you to choose the right business and an appropriate place for it, getting new businesses to your area, finding partners in the local economy and everything related. He will furthermore manage a register with every business and business area in our Duchy that participates. The Duchy of Achlys has an honorable and powerful Army. The Warlord will be the one to lead them into the battlefield at times of war. The Warlord will help in forming and executing the war plans and training. He will also be responsible in guiding the army when protecting trade routes. Deals with all the financial, commercial agreements, and the evaluation of goods. The Lord of coin is the principal economic advisor of the Duke and plays a major role in formulating economic policies. Responsible for all the organization of the buildings within the Duchy. Including but not limited to the roads and town plans. With their knowledge in specific areas they consult the Duke and contribute in the Duchy’s development and flourishment with their advice (They’re not necessarily from the Duchy of Achlys). We have a fair system that acknowledges and rewards hard workers and helpers of our community whatever his or her title is will be rewarded as much as they put in for the effort. Those looking to join our Duchy as Citizens, Mayers/Barons need to visit our Discord and make their intentions known. Counts that look to join us will undergo a friendly interview to talk about their plans and goals before joining our Duchy. You can join the Discord by clicking the pic below.